Deerskin Picture w/frame. 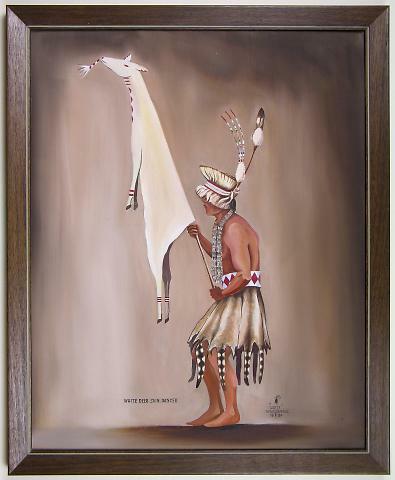 Description: White Deerskin dance picture with wood frame. pained by "Lefty" Wild Eagle 1964. Remarks: Not for Use Storage:N.W.CA., tribe unk. (Lower Klamath River).